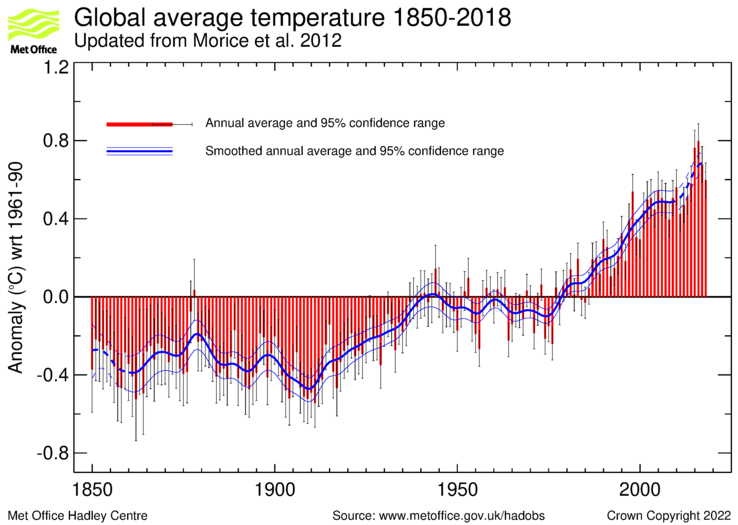 The red bars show the global annual average near surface temperature anomalies from 1850 on. The error bars show the 95% confidence intervals on the annual averages. The thick blue line shows the annual values after smoothing with a 21 point binomial filter. The dashed portion of the smoothed line indicates where it is influenced by the treatment of the end points. The thin blue lines show the 95% confidence intervals on the smoothed curve. 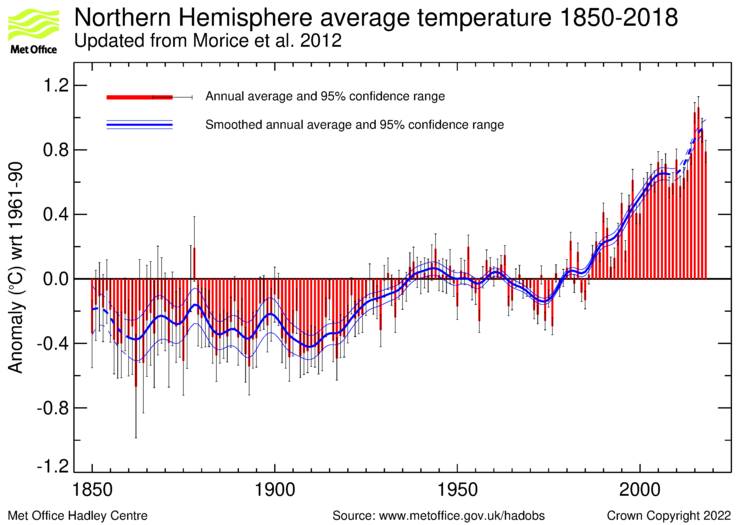 The red bars show the northern hemisphere annual average near surface temperature anomalies from 1850 on. The error bars show the 95% confidence intervals on the annual averages. The thick blue line shows the annual values after smoothing with a 21 point binomial filter. The dashed portion of the smoothed line indicates where it is influenced by the treatment of the end points. The thin blue lines show the 95% confidence intervals on the smoothed curve. 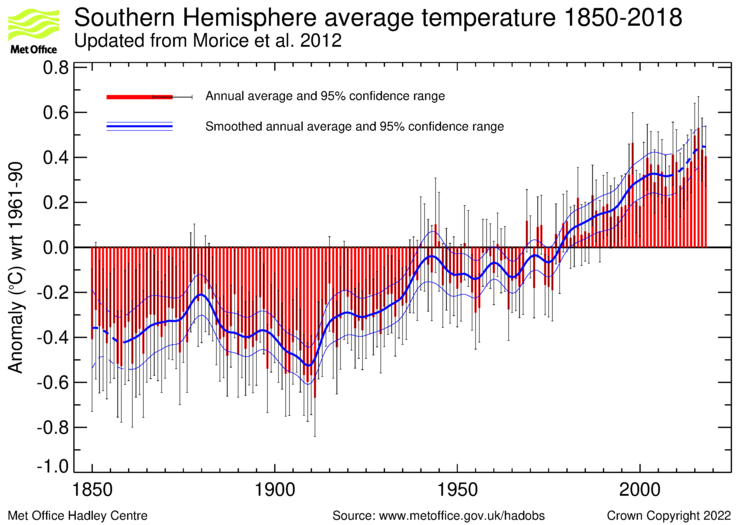 The red bars show the southern hemisphere annual average near surface temperature anomalies from 1850 on. The error bars show the 95% confidence intervals on the annual averages. The thick blue line shows the annual values after smoothing with a 21 point binomial filter. The dashed portion of the smoothed line indicates where it is influenced by the treatment of the end points. The thin blue lines show the 95% confidence intervals on the smoothed curve.